Photos: Ardnagashel and Droum Wood, Co. Cork, SW Ireland. 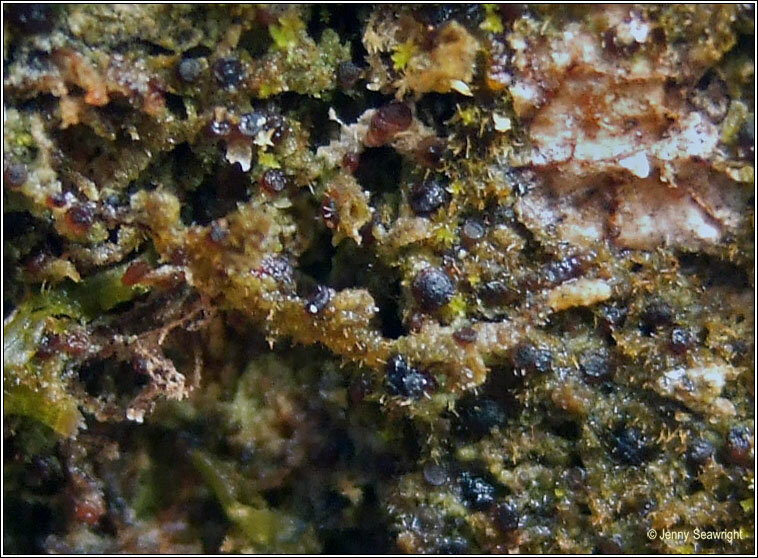 Thin, evanescent, pale to dark grey-brown thallus that is often minutely granular. 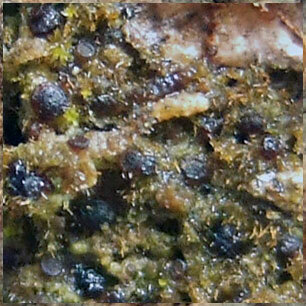 Apothecia to 0.75mm, dark reddish-brown to blackish with wide margins. Margins dark brown at outer edge, pale brown or colourless within, excluded with age. Hymenium colourless. 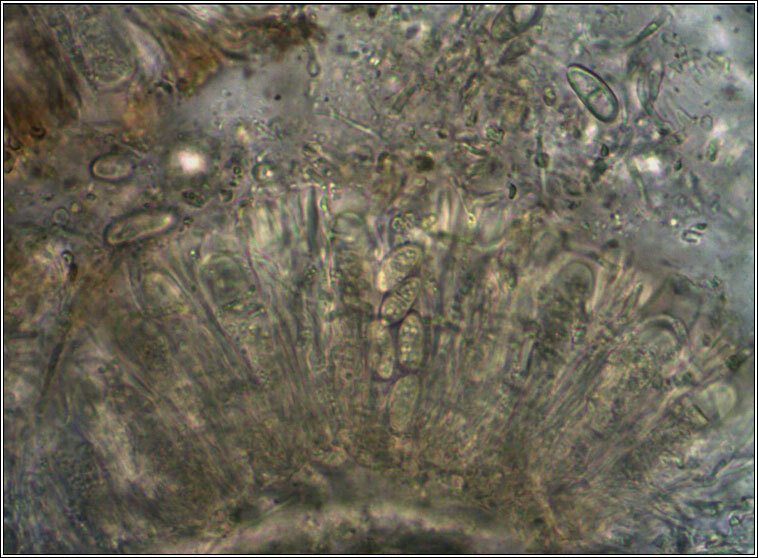 Asci 8-spored, spores 1-septate, 10-15 x 5-7 µm, walls to 1.5 µm. Micro photographs below. Chemical reactions and UV negative. 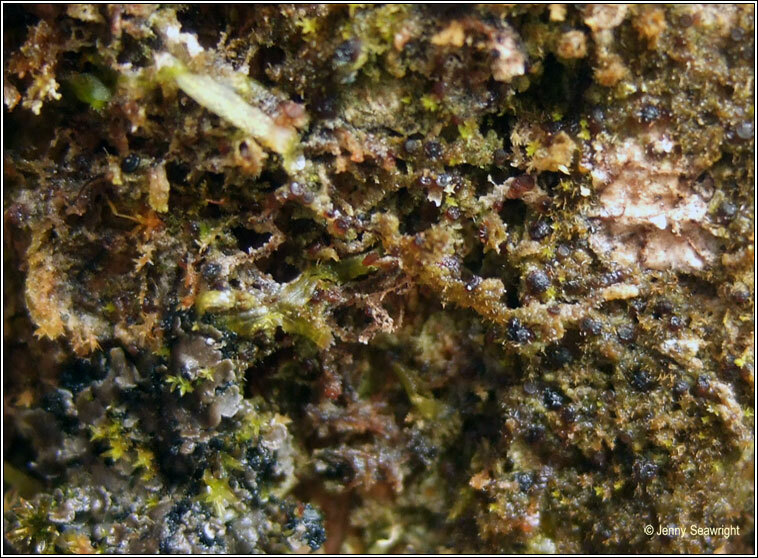 Rough-barked mature trees and over mosses, usually in Lobarion communities in old woods and parklands. Scattered distribution. 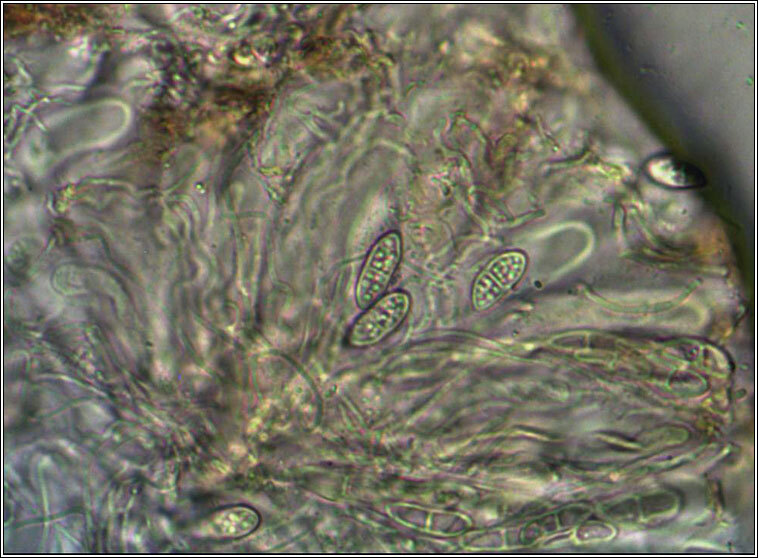 When sterile the thallus resembles Porina coralloidea.